If you like Victoria plums, you’ll love Jubilee plums. 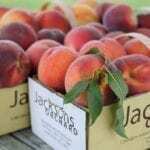 What is a Jublieum plum? It’s the fruit of the Jubileum plum tree, and a bigger, better version of the Victoria plum. Growing Jublileum plums is not difficult as long as you pick an appropriate planting site and provide the right care. Read on for information about Jubileum plum trees and tips on Jubileum plum care. What is a Jubileum Plum? Jubliee plums, also known as Jubileum plums, are better known in Britain than in this country. So exactly what is a Jubileum plum? It’s an improved version of the extremely popular Victoria plum. Those growing Jubileum plums report that the fruit looks a lot like the Victoria plum, with mottled red skin. The fruit is long, oval and uniform, somewhat larger than the Victoria plum. When you open these plums, the fruit is deep yellow. It is firm but also very sweet. The Jubileum plum is said to be a top-notch plum for eating fresh, and is often called a plum of superb eating quality. These juicy plums work well as dessert plums since they are succulent and attractive. It can also be used very successfully for cooking. 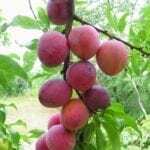 Growing Jubileum plums isn’t very difficult if you live in an appropriate region for plum growing. If Victoria plums grow in your area, you won’t have any trouble with Jubileum plum care. These plums are so simple to grow that they are touted as perfect plums for beginners. They are disease resistant and hardy. An additional plus is that Jubileum plum trees are self-fertile. That means that Jubileum plum care does not include planting a second species plum tree nearby to get fruit.